Hamas thanks Cuba for 'noble gesture,' after it sent six tons of drugs and medical supplies to Gaza. Cuba has sent six tons of drugs and medical supplies to Gaza, official media reported Thursday. The government-run Cubadebate website said the humanitarian shipment was delivered by officials at Cuba's embassy in Cairo to the Hamas representative there. Cubadebate said Palestinian officials expressed their thanks for Havana's "noble gesture" that "will alleviate the difficult situation Gaza is facing," as hospitals continue to treat those injured by the Hamas offensive on Israel. Its former leader, Fidel Castro, recently led a group of international dignitaries signing a manifesto "supporting Palestine," which demanded that Israel withdraw from "Gaza, the West Bank and East Jerusalem." 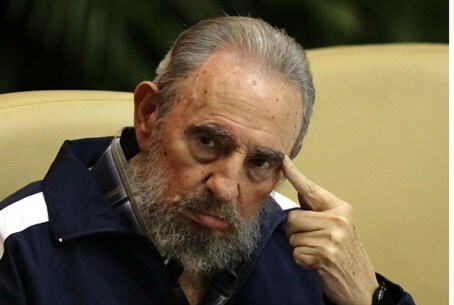 Castro also slammed what he called "Gaza genocide" in the operation, terming Israel "a nuclear power that is at once sophisticated and irresponsible."